If your Samsung Galaxy Tab has a broken screen or LCD Mountain Stream are here to repair your device for you and return it to you promptly. The screen/digitizer and LCD on these devices are are glued together by the manufacturers. Some can be separated with care and replaced individually if one or other of the parts is damaged. In this range most of the prices we quote are for the touch-screen (digitizer) only, except for the full Screen/LCD assembly for the Galaxy Tab 2 7 & Galaxy Tab 3 7 & Galaxy Note 10.1 (2014 Edition) . We hope to add prices for the digitiser only for these devices in the near future. Please see below for our fixed prices for repairs. Prices are inclusive of parts and return standard postage or personal delivery. 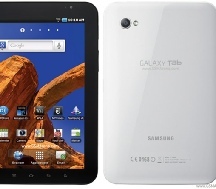 For other Samsung Galaxy Tab repairs please request a quote by email, phone or by using our enquiry form. ALL PRICES BELOW ARE FOR THE REPLACEMENT OF NEW SAMSUNG PARTS AS DESCRIBED. PRICES ARE INCLUSIVE OF PARTS, LABOUR AND COST OF RETURN EITHER IN PERSON OR BY POST. PRICE DOES NOT INCLUDE PRE-REPAIR DIAGNOSIS OR REPAIRS OTHER THAN AS STATED. Please note that all repairs require opening the device which may invalidate OEM warranties. Customers are strongly advised to check the status of any warranties before engaging any 3rd party to repair their devices. Mountain Stream Ltd accept no liability for checking warranty status or for the voiding of any warranties.